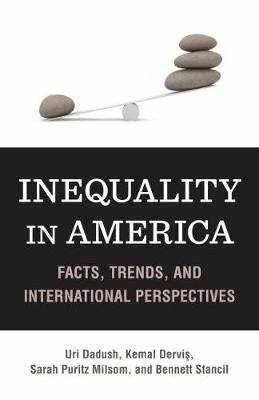 "Inequality in America" provides a snapshot of the issues posed by the growing concentrations of income, focusing on the United States but drawing on international comparisons to help set the context. The authors examine the economic, technological, and political drivers of inequality and identify worrying trends associated with its rise. They demonstrate how specific factors have exacerbated income inequality, including technological change, international trade, changes in labor market participation, and the increasing role of the financial sector. Their clear and concise exposition makes the issues surrounding income distribution accessible to a wider public. As they write in the conclusion: "We have argued that tackling the worst effects of inequality and re-establishing a measure of equal opportunity requires increased investment in crucial public goods: first, education; second, a more progressive and simplified tax system; and third, increased international cooperation to avoid a race to the bottom. Education, tax, and other such policies are pursued by other highperforming advanced countries and can be shaped for the United States in a way that is fully consistent with an efficient and competitive American economy."